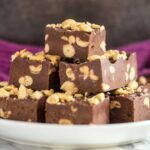 Chocolate Peanut Butter Fudge – This deliciously thick and creamy 5 ingredient chocolate fudge is full of peanut butter flavour, and studded with salted peanuts! Chocolate and peanut butter. Is there really a better combination of flavours? (If you’re more of a mint lover, you need to go try my Mint Chocolate Oreo Fudge!) 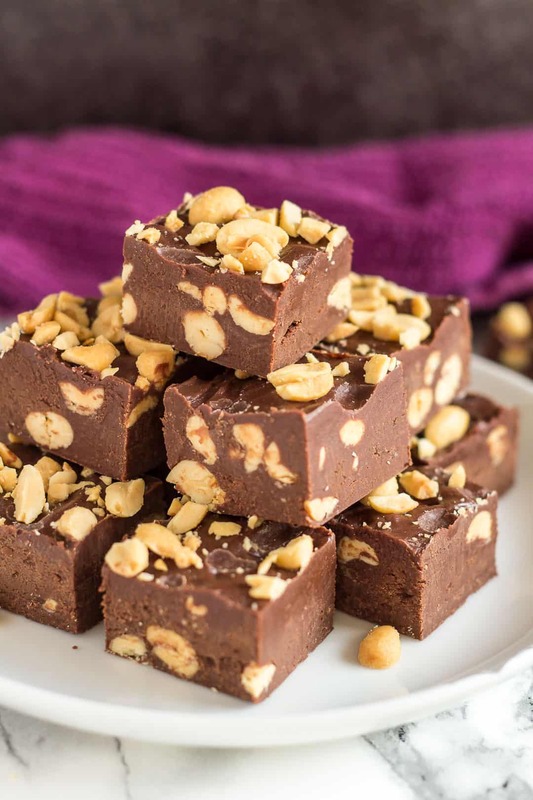 Today, I bring you my Chocolate Peanut Butter Fudge, and the flavour combination could not be more delicious. 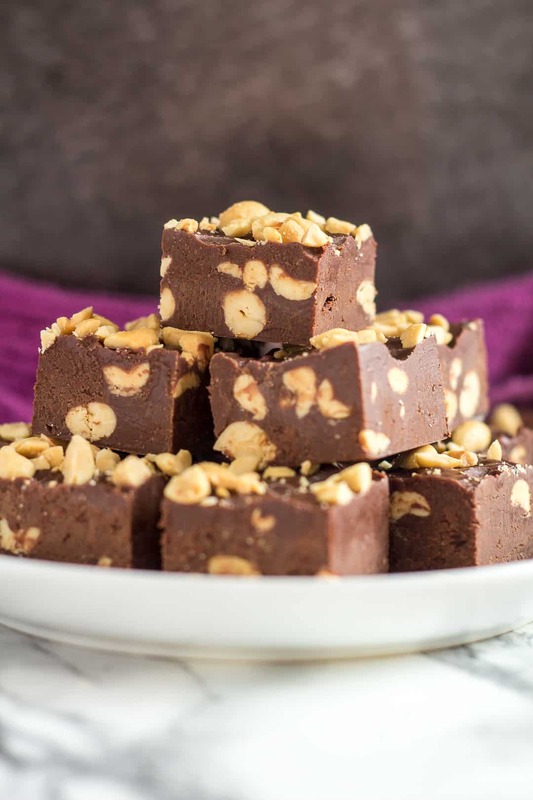 This fudge is made in the microwave, and only requires 5 simple ingredients – it’s such a quick and easy recipe! 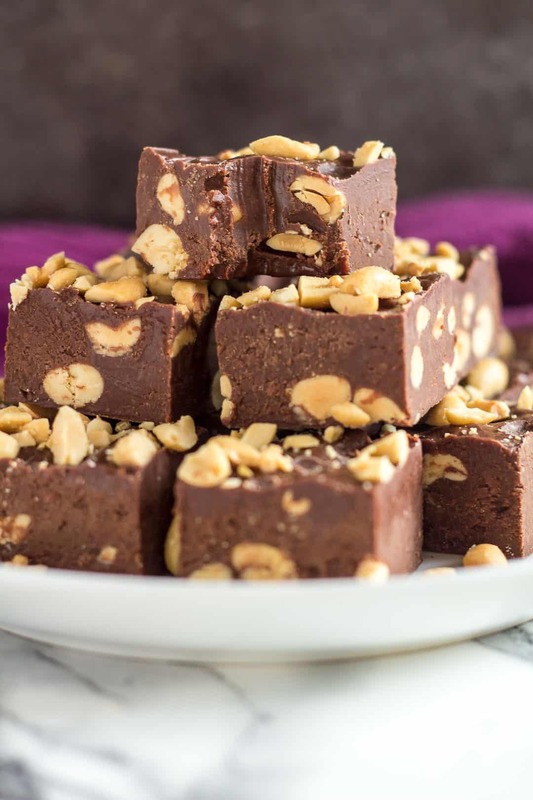 To make this fudge, simply add your chocolate and peanut butter to a microwave-safe bowl, and heat in 30 second intervals until melted and smooth. Stir in the condensed milk, vanilla, and peanuts. The mixture will become quite thick. Spread the fudge out into an 8×8-inch square baking pan, and refrigerate for at least 2 – 4 hours. Cut into squares, and share devour! Try these super easy recipes next! 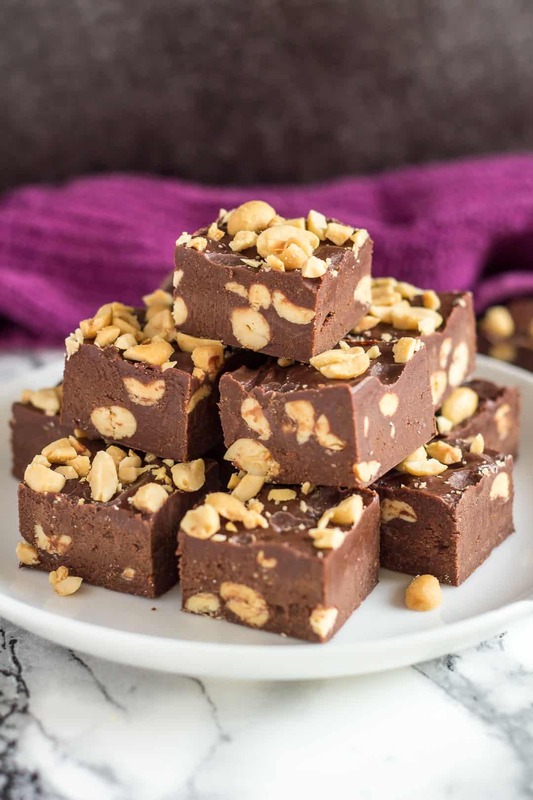 This deliciously thick and creamy 5 ingredient chocolate fudge is full of peanut butter flavour, and studded with salted peanuts! Line an 8x8-inch square baking pan with foil or parchment paper. Set aside. Place the chocolate and peanut butter into a large microwave-safe bowl, and heat in 30 second intervals, stirring after each one, until melted and smooth. Stir in the condensed milk, vanilla, and peanuts until combined. The mixture will be very thick. Spread the mixture into the prepared pan, and smooth out the top. Sprinkle with extra chopped peanuts, if desired. Refrigerate for 2 - 4 hours or overnight until completely set. Fudge can be stored, in an airtight container at room temperature for 1 week, or in the fridge for 2 - 3 weeks. It also freezes well for up to 2 months. Thaw overnight in the fridge before serving. These look delicious…Definitely making these ASAP! All the fudge. In my belly. Need. Sorry, I’m a little delusional from ogling these photos. This stuff looks SO good! You know anything with chocolate and peanut butter has my name all over it!! Love that you added those gorgeous crunchy peanuts straight into the fudge. I’m drooling!